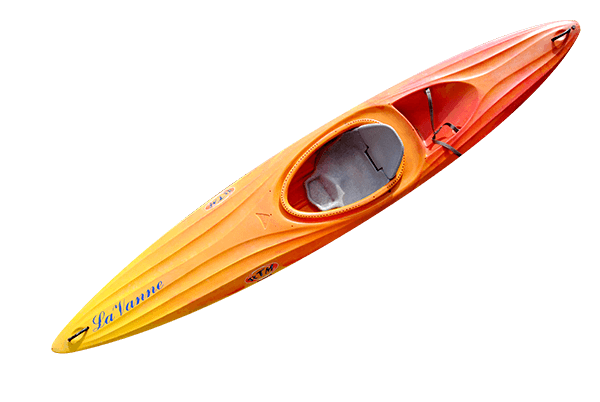 We firmly believe in the importance of providing kayaks of an outstanding quality. They have to be light-weight, stable and comfortable to offer you the most pleasant down-river experience. With an easy-to-operate kayak you travel further faster and get even more enjoyment from the trip. 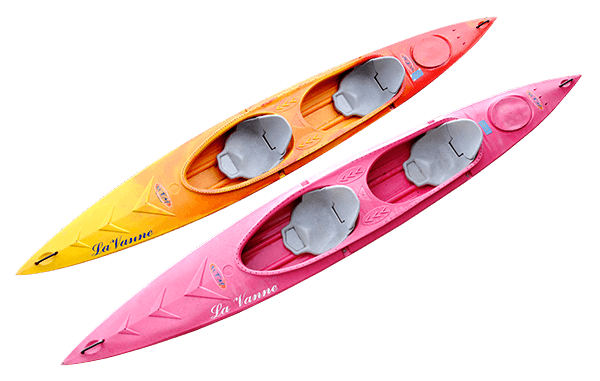 We offer three separate kayak models according to your personal preferences. Our reception manager will help you decide on the model that meets your requirements. 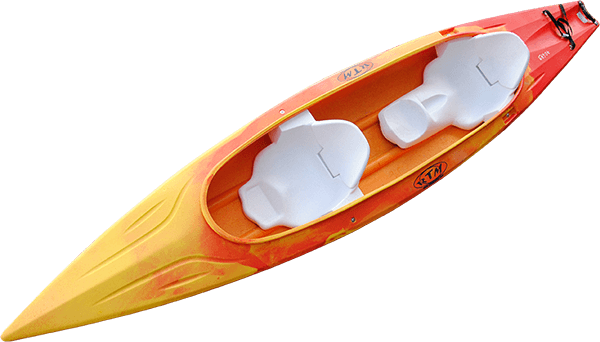 Providing the best stability, this long and wide kayak is perfect for recreational purposes, having fun with the family or friends. To top it off : the vessel’s large coaming and comfortable seats also make the kayak very easy to use. Comparatively wide for a single-seater and the most user-friendly, this model also excels in terms of speed as its gliding ability is higher than that of a longer two-person kayak. To top it off: our single-person kayaks are all provided with comfortable seats to help maximise the occupant’s endurance. Thanks to the large opening in the centre, the kayak can accommodate a crew of two adults and a child under six years of age. The safest way of travelling with a tiny child. To top it off: the canoes are fitted with comfort seats so you form a unit with the vessel.